Since the mid 80s when I had my first girl crush on Lisa Bonet (then in The Cosby Show and A Different World) I have coveted dreadlocks. 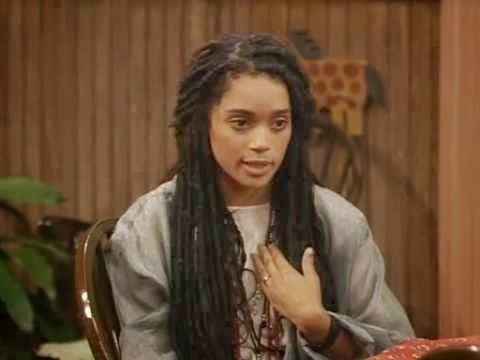 I tried my best to model myself on her in my teenage years with harem trousers and layered tops but it didn't ever work without the hair - fine mousey brown hair with a bit of curl in it was just no match for the long luscious dreads. Then came *cringe* Milli Vanilli (give me a break, I was 14!) - their music was awful and they weren't even the real singers, but for the adolescent me, it was all about the hair! The list of dreaded lovelies goes on... Terence Trent D'Arby, Lenny Kravitz....... right up to the modern day (and co-incidentally Lisa Bonet's latest partner - I swear she had MY life!) Jason Momoa. A couple of months ago I mentioned to D that I'd love to have dreads - I'd hit 37 and decided if I were ever going to do it, it had to be soon. To say his response was less than enthusiastic would be an understatement. He actively tried to discourage me (with threats of an extreme hairstyle himself, how I'd look ridiculous and how my head is too football-like), but the idea stuck with me, and I just couldn't shake it. I kept seeing people with dreads EVERYWHERE (I should remind you I live in a small English village where there must be hardly ANY dreads - nevertheless I saw several people with them which *seemed* like they were everywhere). I admit to a mild obsession over the last few months and even a dedicated Pinterest board. So yesterday I sat for three nerve-wracking hours while Sharne from Funky Rapunzels braided the equivalent of 120 custom made dreadlocks into my hair. I have to say I was extremely anxious to see them finished and kept doing double-takes every time I walked past a reflective surface last night, but today I think I love them! Granted, they make me look nothing like Lisa Bonet, but the more they settle and I get used to them, the more I feel like they are a manifestation of a wish I've carried for at least 25 years and it feels SO good. These pics were taken when they'd just been done. So what have you always wanted to do that you've not yet done? O-M-G!!! i soooo love your dreads! i just told my hubby i wanted some, he just kind of laughed at me. 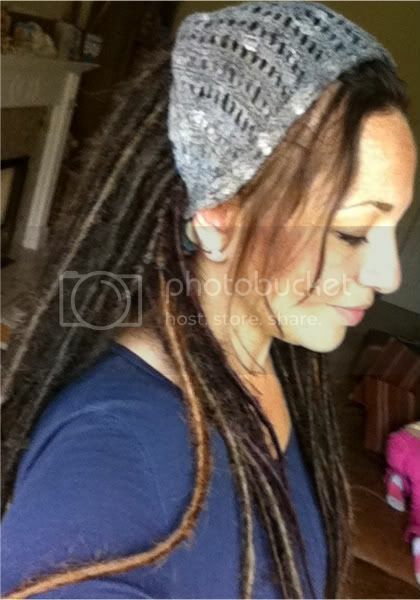 :) i love all your dread pins on pinterest. i wish i was as brave as you. they look beautiful on you! they look faaaaabulous and suit you so much!!! I love them! I heart dreadlocks too and am so excited for you getting them done... now you will need to make yourself lots of dread-bands to make them look extra amazing! They look fabulous, well done you for fulfilling a dream. They do look awesome!! You can pull them off and look great! Stunning!Simply stunning! Your a natural dread wearer. It must be such a satisfying feeling. wow! those are great! and your story is inspirational! They look wonderful on you. How long do they last? How is it all taken out? They look fab and OMG you're 37?! Never!! Wow, they are totally, totally you. They look AMAZING. 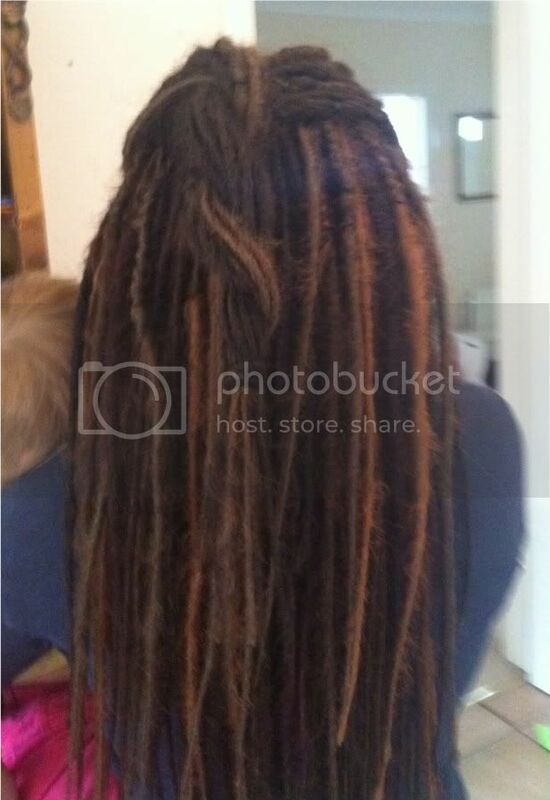 Good for you for rockin' the dreads!